i knew you could rock the girl collections but Lisa you can rock the boy lines as well!! totally awesome!! He is just precious~ The colors of this line of papers goes perfectly w/the picture too. This is beautiful! I loveeeee that precious photo, the colors and loving the stars!! And he was born the day after MY birthday!! :) He is gonna be awesome!!! Great layout! I love the design and yes the papers and the photo go together wonderfully! Adorable! What a great gift this is! He's precious. 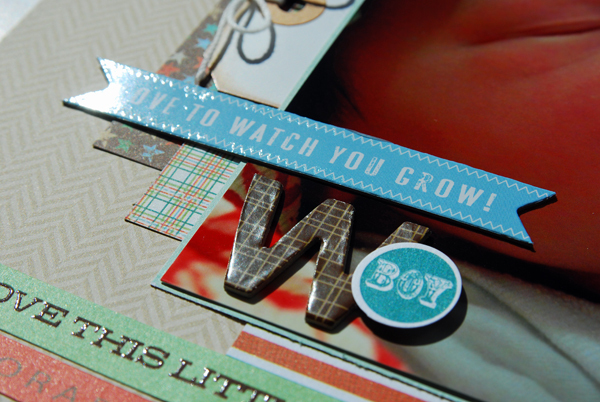 I love that little owl and all the other embellishments you've chosen. Perfect for a newborn. Oh Wow!! I love those papers and design. His cuteness just shines, nmakes you want to smooch him all over. i Love this. Love the collectiom and your subject is darling!! So sweet!! Awesome as always, Lisa!!! I love that line from LYB & you used it perfectly! He's sooooo cute! Okay - how adorable is he...so darling! You are so talented, Lisa! Love every little detail of this layout! So inspiring! Hey, that is my birthday!!! Those papers go together so well with the pic. Awww such a sweet baby boy. Your layout is adorable,love all the layering. This page is A-MAZ-ING, Lisa!! 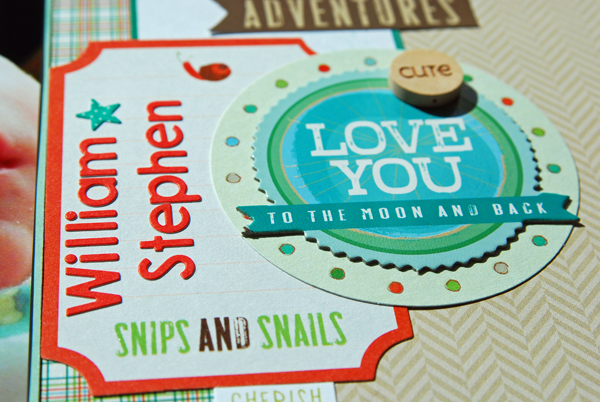 Love how you used the Fern & Forest Boy collection! Such an eye catching design and adorable photo! Awww...that is the sweetest...photo and page. Love the little owl! This line is absolutely perfect for this photo! Gorgeous! Gorgeous page! 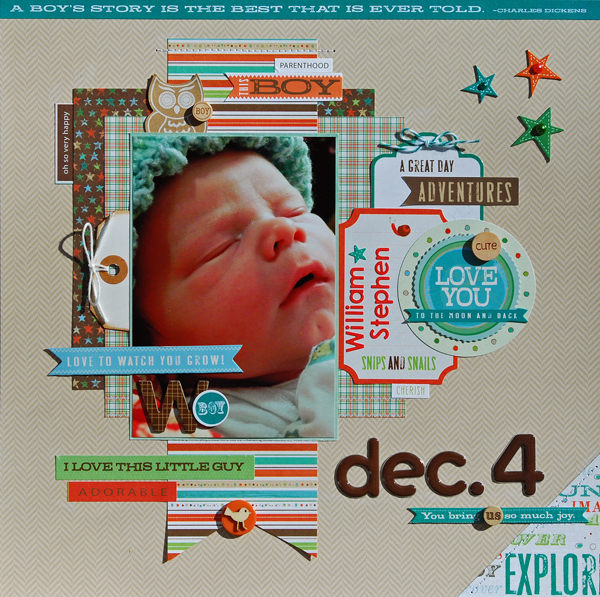 I just love your layering and clusters around that adorable photo!! Awe, I love the layout. What a great page! This layout just caught my eye on the bottom o f your other post. This is so sweet - look at this little baby face - pure cuteness! Another sweet layout, you have been busy!